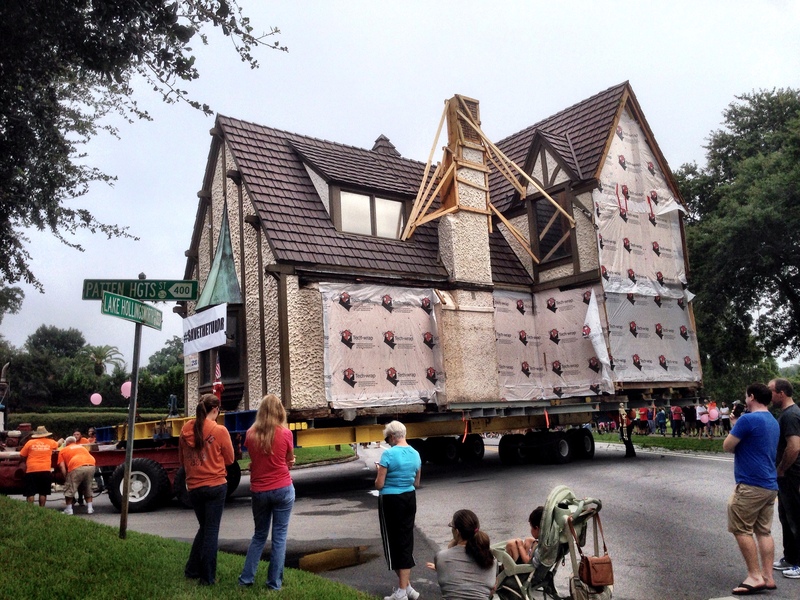 The tudor house pauses at Lake Hollingsworth and Patten Heights. Hundreds of photos and videos were taken this morning when a historic house was moved from a perch overlooking Lake Hollingsworth in Lakeland to a nearby lot on Florida Avenue in Dixieland. Here are some highlights from social media feeds, including fabulous videos taken from cameras on drones.